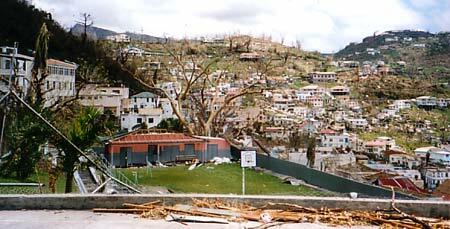 Damage Assessment Resulting From Hurricane Ivan On September 7th 2004. The school compound is made up of six (6) buildings. 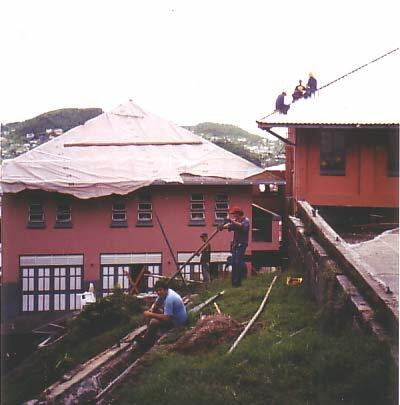 Each building was assessed separately. Date of Construction  possibly around 1915. Ground Floor: Equipment room, Audio Visual Room, Information Technology Department and Commercial Department. Structure 80% of roof and ceiling completely destroyed. Partitions, water damaged. Walls on easternside cracked and crumbled. Floor damaged and water logged, windows damaged. Electrical wiring in disarray. 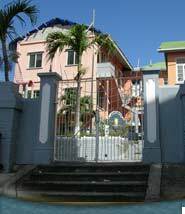 Based on a survey carried out by Kenrick Gabriel and Associates Civil/Structural Engineer & Project Manager the recommendation is that the said building be demolished. The area of the building is 2591 sq ft. Basement: The Library, Home Management & Agricultural Science Departmentsand Store Room. Structure Part of roof blown off. Roof sheets torn and punched. 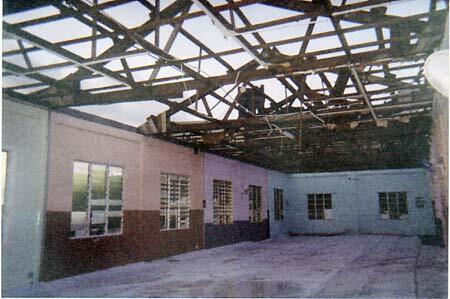 Ceilings damaged from rain and wind. Broken window panes, Timber partitions separating classes damaged and dislodged. Over 60% of timber purlins in roof destroyed. Electrical wiring in complete disarray. 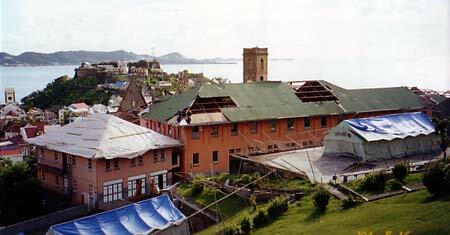 The entire ceiling in top floor and assembly Hall completely destroyed. Area of three- storey building is 7, 104 sq ft. The oldest of the buildings erected before 1875. 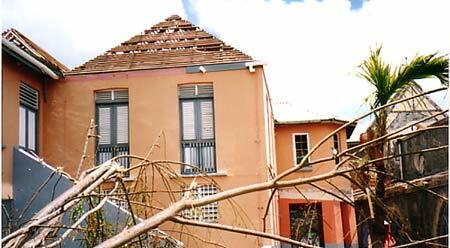 Structure Roof shaken from wind and may have connections whose integrity is questionable. collapsed large window openings. Doors dismantled, Broken window panes. 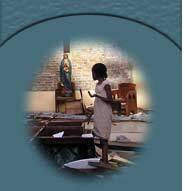 Area of two-storey building is 1296 sq ft.
Top Floor: 2nd year Students and Prayer Room. Structure - Structural Damage. Roof completely destroyed ceilings destroyed from the effects of rain and wind. 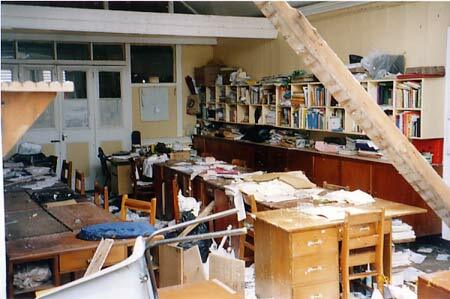 Partitions collapsed and water damaged. Southern outer wall broken, cracked. Electrical wiring in disarray. Broken windows. Floors buckling from the effects of the rain and sun. Area of Building is 1750 sq ft.
Area of Building is 1550 sq ft. Estimated cost to reconstruct the building is one hundred thousand six hundred and eighty-two and eighty-six cents (EC $100,682.86). Structure - Roof and ceiling destroyed. Walls cracked. Electrical wiring in disarray.